Apple pie recipes can easily be altered to fit a diabetic diet plan. 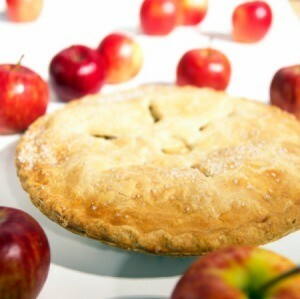 This page contains diabetic apple pie recipes. Mix crust ingredients and roll between wax paper. Combine apples, flour, cinnamon, nutmeg, salt, and frozen apple juice. Put in crust and sprinkle with lemon juice and dog with margarine. Top with crust. Bake at 400 degrees F about 40 minutes. One-sixth of pie equals 3 bread exchanges, 4 fat exchanges and 372 calories.